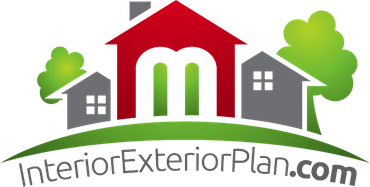 Interior Exterior Plan | Is a personal loan right for me? Nov 22 • Loans / Mortgages / Insurance • 3735 Views • No Comments on Is a personal loan right for me? If you want to borrow over 5 grand – perhaps for a large purchase or to pay off various debts – then a personal loan may well be your best bet. A personal loan is an unsecured loan (so not against the value of your home as in the case of home equity loans) generally designed for people not looking to finance a house purchase, but simply for their convenience. If you do end up borrowing a lump sum for credit card debt, be sure that the first thing you do upon receiving the loan is to cut up those old credit and store cards, or the temptation to carry on using them may become too great. There are several advantages than an unsecured loan has over a credit card. First and foremost, the interest rates will be a lot lower, averaging around 10% compared to the 14,15, 16% or more you can expect to pay for most credit cards. Additionally, you have a clear end in sight once you’ve set up your loan repayments. And while the minimum repayment might be a little higher, this is better than paying the minimum amount on a credit card each month ad infiinutm (which is virtually how long it can go on – they’re designed that way). If, however, you’re only after a small amount like 500 pounds, a personal loan can compare poorly to a credit card. Lenders usually offer interest rate discounts for bigger loans, whereas a credit card will have a fixed rate whether it’s 25 or 25,000 pounds. Always consider the total cost of the loan when shopping around – the difference between providers can be staggering. Santander currently offer some of the cheapest loans around, with typical APRs of around 8.9% – click the link to find out more about Santander’s personal loans. Under UK banking regulations, at least two thirds of a banks customers should be able to afford the ‘typical’ interest rate offered. Some lenders get around this legislation by simply refusing to advertise their typical rate. The APR you will be able to obtain will depend on the size of the loan and your credit history. If you have a good credit rating you can expect a favourable rate, while those with late payment history and defaults will have to pay a higher rate – if accepted for a loan at all. Remember, shop around, study the market, don’t just go for the one that seems to have attractive extras attached or who offers you the largest amount – this may not work out well for you in the long run.